I arrived back in India not too long ago and it’s been a fun and crazy carousel ride, even more so than usual since my two sisters, Sharada and Shanta, and my brother, Sat, were with me. We attended a family wedding in a village a couple of days travel from Dehradun and then continued on to visit several cities. We checked in at the Ramada Inn in Varanasi, one of the oldest inhabited cities of the world, also known as the City of Light. I was with my siblings having a wonderful time, not really thinking about KHEL or the work that was most likely piling up back home. 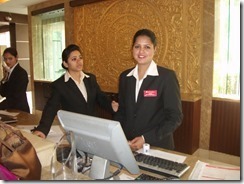 Hotels in India are working hard to cater to tourists, so the employees usually dressed in Western style clothes, speak English and tend to greet the guests with ‘Welcome’ or ‘Good afternoon’. I wasn’t surprised to see a professional young woman approaching me, dressed in a Ramada Inn blazer and pants. But I was surprised when, with a big smile on her face, she folded her hands in the traditional way of greeting and said, ‘Namaste, Mataji’. I realised that I recognised this young woman – after all, I’ve known her since she was a five year old little girl at KHEL’s school in Dehradun. I was overcome with emotion. 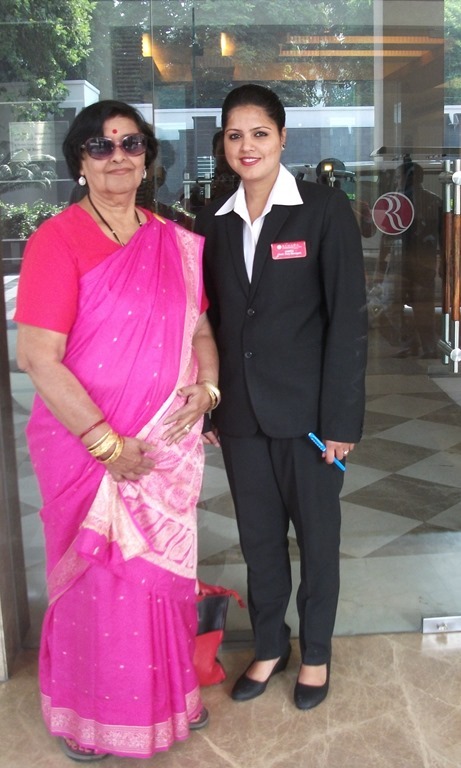 Sarita, fondly known as Ruchi, told me a little of the journey that brought her to the Ramada Inn in Varanasi. As a child at Lakshmi Devi Academy (LDA), KHEL’s school for underserved children in Dehradun, she would listen with wonder to the guests who came to visit her and her friends. She told herself that someday she’d be able to speak English, which is one of the prerequisites for getting a good job in many parts of India. As a teenager getting ready for college, she fought with her family to be able to study Hospitality Management in Hyderabad, far away from Dehradun. I remember those arguments and the positive role KHEL’s staff played in encouraging Ruchi’s parents to accept her decision, to trust her to make her way in the world. It was not a trust misplaced; she did well, graduated from college in Hyderabad, moved around a bit working at different hotels and eventually was hired by Ramada Inn. They treat her really well and look after her safety, driving her to her place of residence so she’s not taking public transportation after a late night shift. I was happy to hear this, since India can be a treacherous place for young women. 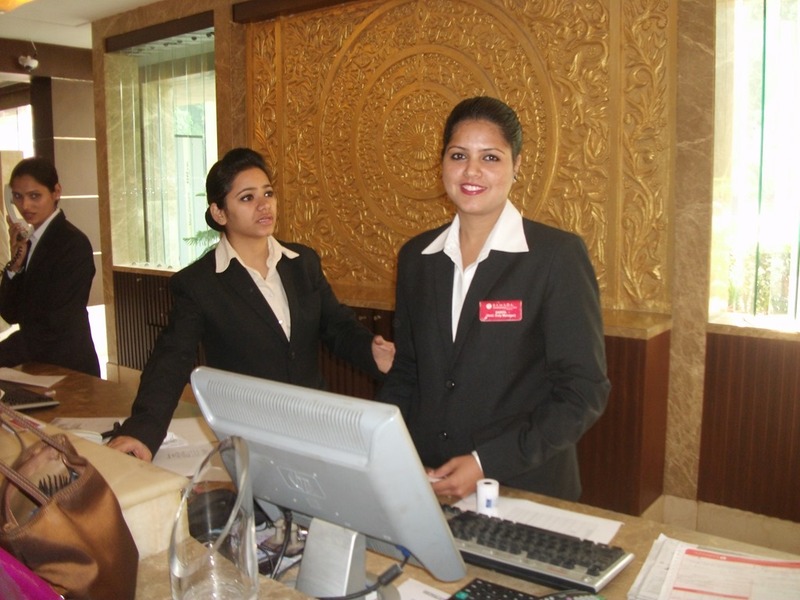 Charming, personable and now fluent in English, Ruchi is a busy young woman; her duties include registering arrivals and departures of guests, dealing with complaints, checking on rooms and supervising the floor staff. When I started giving milk to poor children 30 years ago, I didn’t think about the future because the immediate challenges were so overwhelming. I feel privileged to have made a difference in the lives of children like Ruchi; I’m so proud of her and all our students who have overcome enormous odds – they dared to dream, and to pursue those dreams in hopes of a better future for themselves and their families. I wish them success in whatever paths they choose.